◆Bachelor’s degree holder in any course and having TESL, TESOL or TOEFL certificate is a plus. ◆Teaching or managing an institution experience either public or private school. ◆Love working with both children and adults. ◆Strong interpersonal communication skills including negotiation and influencing. ◆Diligent, flexible, responsible, resourceful and can work under pressure. ◆Enthusiastic supporter towards people pursuing their dreams. ◆Fun in the working environment. ◆Singing and dancing skills is a plus. Our course will have active learning as a form of group lesson such as design, entertainment in English and Academic Courses. Class sizes are approximately 10-15 person per class. Full support is provided by a Japanese teaching partner. ◆Making activities and lesson plans. ◆Making training plan for new teachers. ◆To display an appropriate behavior at all times as role models. ◆Hard working, independent and highly motivated educator. ◆Have positive attitude and commitment towards work. ◆Having great creativity in making unique activities and lesson plans. ◆Leadership and willing to be a leader. 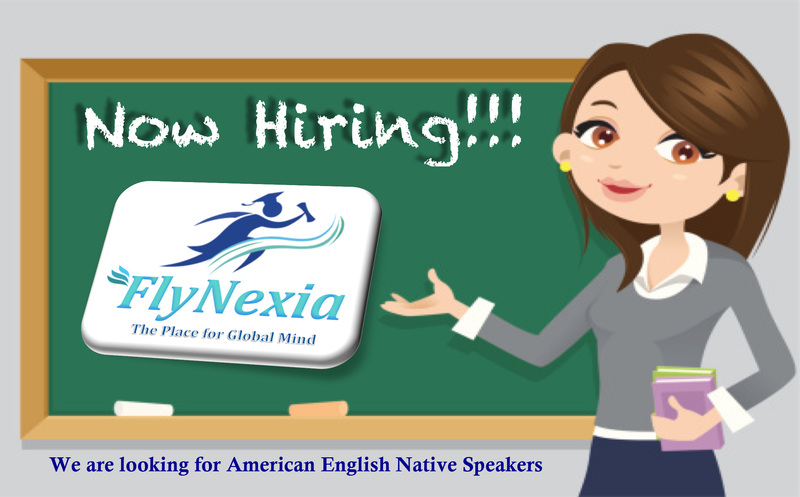 ◆Interested in English education and communication with different kinds of people especially for kids. Final offer depends on the employee’s teaching experience. Only successful screened applicants will be contacted and asked to attend an interview at a mutually convenient time. 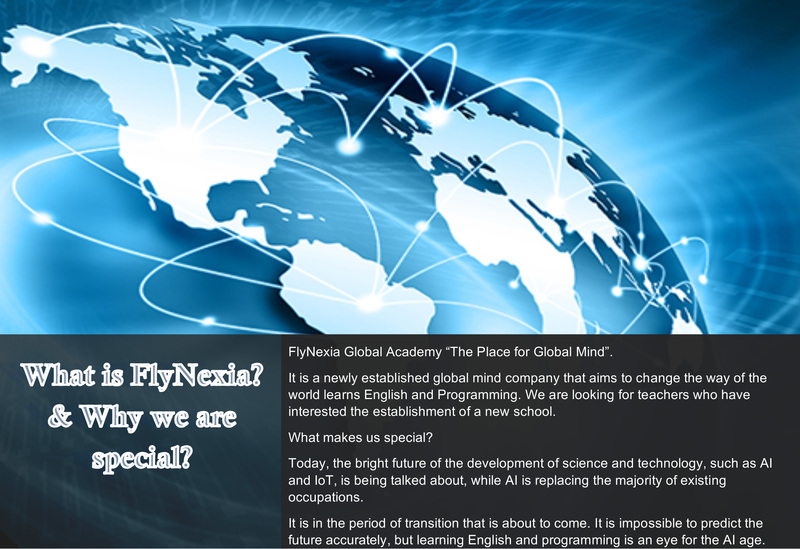 First interview will be on Skype, Final interview for candidates will be asked to visit the FlyNexia Global Academy office at Monzennakacho. The candidates will be asked to bring with them their residence cards, passports and copies of qualifications.